My name is Kasia Gospos and I am the founder of Leaders in Heels, an online community created to nurture, inspire and empower female leaders. I worked in Poland as a management accountant until 2008, when I decided to step out of my comfort zone and seek out new experiences that would stretch my career, and me as a person. So I left my life behind and moved to Australia. In this new world, I encountered women from many different walks of life. I realised that some women succeeded in shaping their career and life, while other women didn’t. 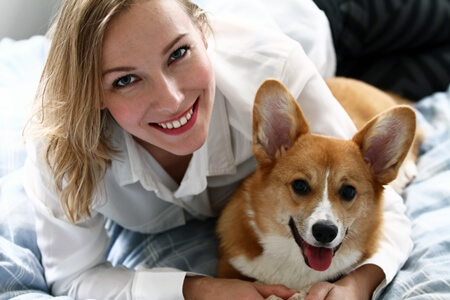 Intrigued, I started interviewing successful women in Australia to connect with them, learn from them and then share their experiences with other women. Leaders in Heels was born. 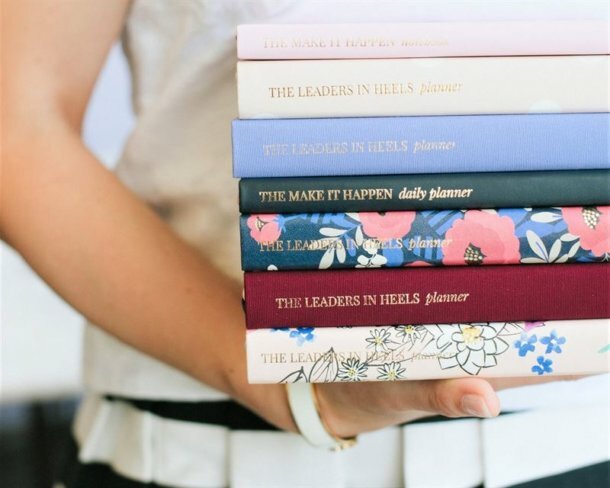 Since my humble beginning as a blogger Leaders in Heels has now hundreds of interviews with successful women and articles covering leadership, success, career development and entrepreneurship. The blog has been visited over a million times! Through my experience with Leaders in Heels, I began to notice common traits that these successful women exhibited in their life and career, and distilled them into a one-page document, the Leaders in Heels Manifesto. 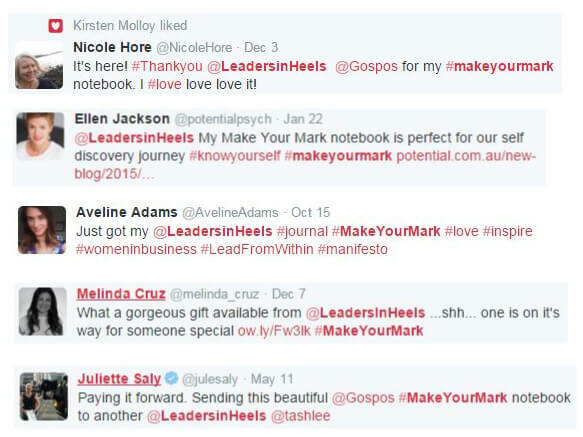 In 2014 I launched the first Make Your Mark notebook, a product inspired by the Leaders in Heels Manifesto. MAKE YOUR MARK was designed to be an everyday notebook with a simple goal in mind – to unleash a remarkable leader in every woman on Earth. It has been beautifully crafted to encourage and inspire women to follow their passion, to be more creative and innovative in their lives, to feel more confident and determined in their endeavours and to maintain a kind heart while becoming successful. I had the pleasure of sending the notebooks to over 20 countries. Many were gifts for employees or handed out at women’s events. I delivered the notebooks to the offices around the globe including companies such as Unilever, Microsoft or American Express. The notebook has been also featured in many other media outlets for women in Australia. In 2016 I decided to launch the Make Your Mark set consisting of three products, each with a different purpose. The notebook is for meetings, boardrooms and everywhere else. The notepad is an essential day-planner for your desk. And the journal is a very personal self-coaching tool, for use in your private times. All three products have six sections focusing on six key leadership traits: passion, creativity, innovation, confidence, determination and kindness. The set has been successfully crowdfunded raising over $23,000. All products stocked in our store have been designed to be inspirational, elegant and practical. Life is like a pen and you have the power to draw whatever you can imagine, but the ink is limited, so make sure you use it wisely and create the life you love. Start crafting your ‘brand new’ from today. Forget about the past.